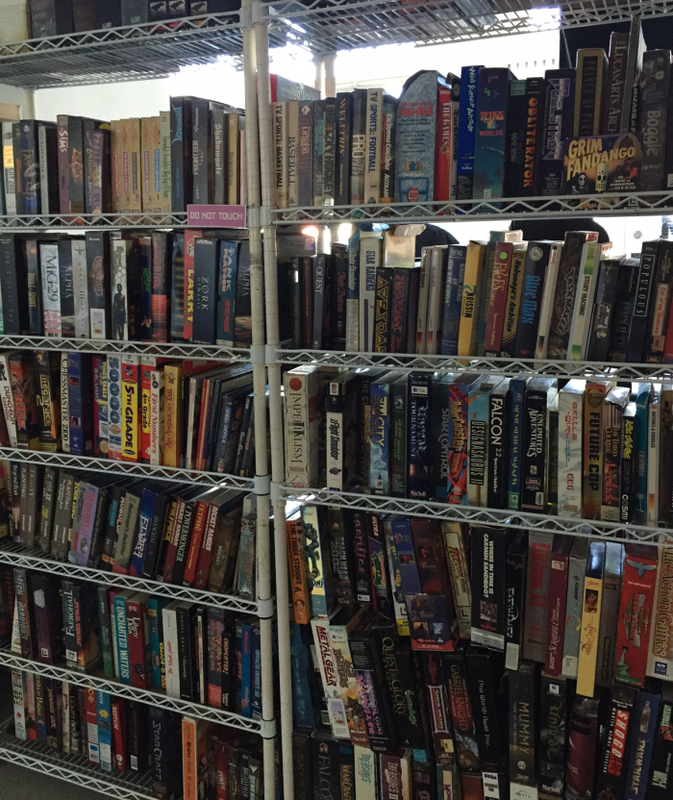 Meet the people who devote their time to keeping gaming history intact. It’s 11am on a Saturday when I open the door to the Museum of Art and Digital Entertainment, and immediately I feel the buzz of a joyous, creative energy. I’m greeted by Alex Handy, the founder and director of the MADE whose friendly demeanor and excited passion for video game history is nothing if not infectious. 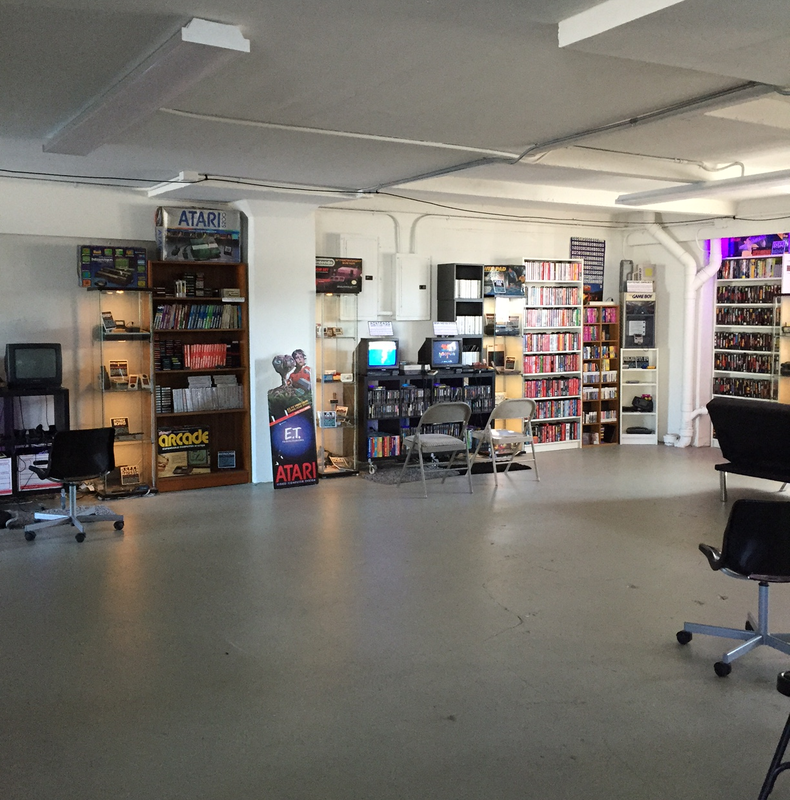 Housed in a large building near downtown Oakland, California, the MADE is one of the few organizations in the world preserving video games for future generations. “The paperwork was easier than I thought; the actual founding of it was more difficult,” Handy says jovially of the nonprofit's founding. 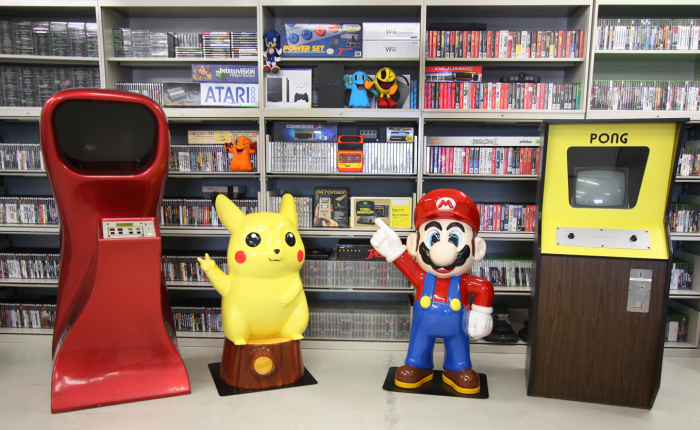 With his personal collection and enthusiasm for gaming history, he pursued founding the MADE in 2010, eventually raising over $20,000 on Kickstarter in February 2011 and opening in a smaller place in Oakland. One part of the main floor at the Museum of Arts and Digital Entertainment in Oakland, California. The MADE is a grassroots effort, he explains. Whereas other organizations have millions of dollars or are part of groups dedicated to studying a larger span of history, the MADE had homegrown support. Over time, donations rolled in and steadily bolstered the MADE’s collection, including the entire library belonging to GamePro Magazine after it was shuttered. Now, it’s an impressively large outfit whose approach to video game preservation is unique among the several other groups who focus on it. Rather than working to store away video games and related material in an environment where they will be kept safe from wear and time, Alex’s vision was to take a much more hands-on approach to curation by making everything in the building playable. The MADE is essentially laid out like a collection of mock living rooms in a furniture store. Its sprawling main room is filled with couches, chairs, entertainment systems, and shelves housing video games, consoles, controllers, and magazines from virtually every era since gaming’s humble beginnings. Sonic 2 rushes through a colorful blaze on a CRTV in one corner, while Crazy Taxi’s earworm of a theme rings out from a Sega Dreamcast in the other. Meanwhile, Mike Tyson’s Punch-Out!! chirps from an NES perched atop a shelving unit on the far left wall, and the menu screen for Tak and the Power of Juju dances on a larger television closer toward the room’s entrance. It has a very homey, welcoming feel to it not unlike the homes many of us frequented as kids when going to friend’s houses to play Mario Kart on the Nintendo 64 or A Link to the Past on the SNES. Which is exactly what Alex is going for. When asked why he felt game preservation is important, Alex shares with me a seemingly unlikely influence. “I sort of had an epiphany a few years ago. I was in the New York [Museum of Modern Art], and i was walking through, and they had a big picture of Gertrude Stein on the wall,” he says, explaining the important contributions to modern art Stein made during the turn of the century. A writer and a patron, Stein is well-known for buying up the paintings of then-nobodies who would eventually spiral into some of the most famous artists in the impressionist era. Stein had a famous parlor in Paris where she kept these paintings--many of Monet, Picasso, and Matisse, among others--and left it open to the public for anyone to come and see. Stein lived in Oakland, not far from where Alex grew up. He shares a kinship with her and is a big fan of the work she did for the art world and emulates her work in his endeavors. 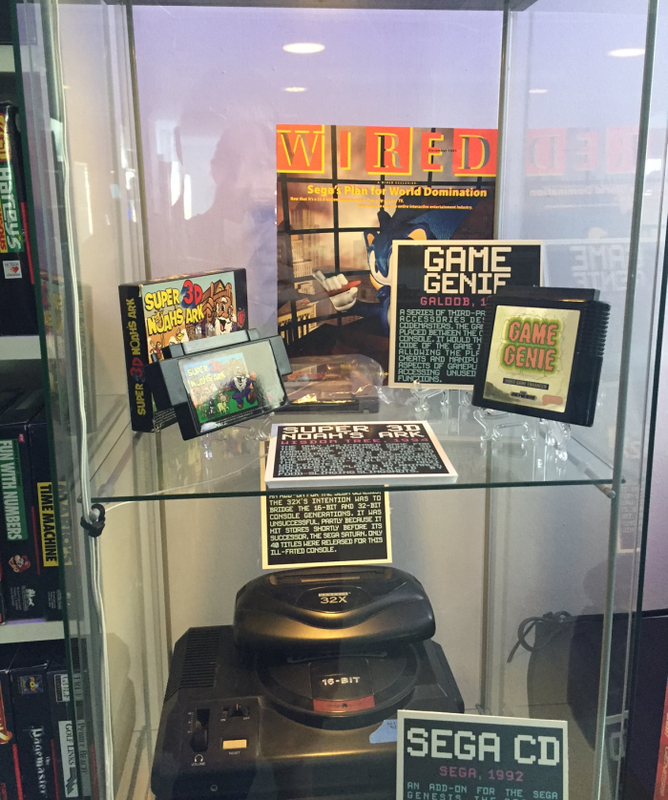 The MADE hosts a massive number of games and consoles from every generation in game history. According to Handy, video games are not necessarily the investment properties many will assume them to be, much like the art purchased by Stein at the start of the 20th century. He draws an astute comparison to today’s climate, in which video games are still widely regarded as time-wasting activities intended for children. That is, when they’re not being blamed for spurious connections to violence or other civil unrest. Video games are not yet as respected as they should be. But, his hope is that preservation of them will one day lead to their wider acceptance as a valid art form in the public eye. “That’s exactly the sort of time period we’re in right now, and that’s why it’s so important to be preserving this stuff,” he says. Of all the struggles in video game preservation efforts, perhaps the greatest challenge, Handy posits, is the lack of people working to preserve. “The biggest problem with preservation is that nobody is doing the work,” he says. He gives me a shortlist of the highest-profile groups in the United States who are working to keep gaming’s history intact, including the Strong Museum of Play and Archive.org. Overseas, it’s even more dire as mere individuals have been placed in charge of preserving the video games native to countries like Australia and--shockingly--Japan. Things become increasingly difficult and morally grey once digital preservation enters into the picture, since so many of the classic IPs dating back over thirty years ago are now tangled up in dusty basements as a result of years’ worth of acquisitions between companies. One of the display cases at the Museum of Arts and Digital Entertainment. Some are easier to work with than others, he says. But, that doesn’t mean that many of the curators like Handy haven’t had their work hindered by the looming threat of cease and desist orders and corporate intervention. It frustrates him, because in his mind, the preservation efforts of someone like himself and the several other groups spread out across the world are doing nothing more than keeping the past intact for the future. “If these companies aren’t going to preserve their own stuff in a way that’s accessible to the public, then they need to get out of the way of the people who will do it for them,” he says frankly. Alex tells me the delicate balance he and his contemporaries have to find between asking forgiveness and permission when it comes to showcasing and preserving games in this format. He mentions one specific point in his efforts when working with the IP holder actually proved beneficial to his cause. In 2013, he recalls GDC doing a feature on the history of LucasArts. Among the many iconic games LucasArts created, it was during their early days as Lucasfilm Games that they created something special. Shelves of PC games create a small divider between the main door and the front desk. Called Habitat, this game is credited with being the first MMO with a graphical interface. It was developed in 1986 and used primitive hardware and an old coding language known as PL1 to connect and has not been online since 1989. He obtained the source code for Habitat from its original creators and enlisted their help along with the aid of other tech wizards to combine their efforts to put Habitat back online. But before they could do that, Alex wanted to make sure they would be in the clear with Habitat’s IP holder. He finally tracked down the IP, finding out it now belonged to the Japanese company Fujitsu. Feeling nervous and conflicted, he contacted the executives and, after time and some appeals to their best side, was finally given a thumbs up to continue with his project to put Habitat back online, so long as it was never sold for profit. It’s one of those rare cases where asking permission panned out, he explains, adding that they are working on it and plan to eventually have it running through a Commodore 64 emulator. But that’s the tough part of preserving a medium whose appeal is not yet fully recognized. It requires a great deal of effort on the part of the curators to ensure video games are around long enough to gain legitimacy. It will take some foresight, a great deal of knowledge, passion, and maybe a pinch of faith in the medium as a whole. Then, Alex can claim the work he and several others did was worth something more than we recognized at the time. On the other side of the country, The Strong Museum of Play in Rochester, NY takes a different approach to their preservation efforts. An organization dedicated to preserving the many aspects of play as we’ve known them throughout history, the Strong emphasizes the scientific and cultural reasons for play’s importance. 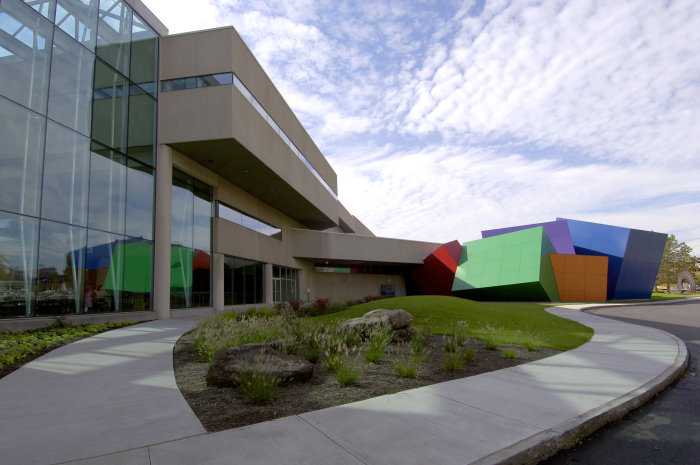 The Strong Museum of Play in Rochester, New York. “We really look at play as something that’s fundamental to the human experience,” says Jeremy Saucier, assistant director of the International Center for the History of Electronic Games. Located inside the Strong Museum, ICHEG takes up a significant portion of the Museum and houses its collection of all things related to video games and arcades. “We look at it as something that plays a key role in human development--and that’s not just to say child development--play is one of the first things we learn, but it’s also something we do throughout our lives,” he says. The goal of the Strong is to provide people an opportunity to see the evolution of play throughout the years and how it has both influenced and been influenced by culture. 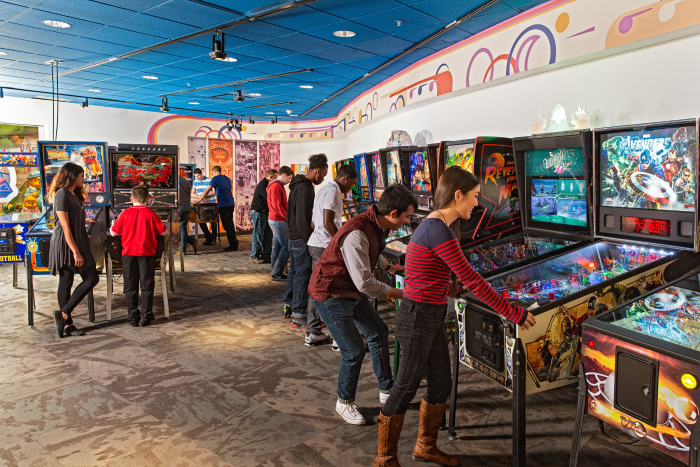 It’s not limited to video games; alongside the ICHEG and Video Game Hall of Fame, the museum also hosts the National Toy Hall of Fame, a Library and Archives of Play, and a handful of other groups and exhibits dedicated to the curation and education of play through the years. Video games have a massive presence in the walls of the Strong. Created in 2009, ICHEG was started to preserve the history of electronic play for present and future generations to access and study. To Saucier and the others on staff at the institute, it was essential to include video games in a larger discussion about the evolution of play. Currently, ICHEG houses more than 55,000 games and related peripherals, along with hundreds of thousands of documents and articles from people of varying degrees of notoriety. Saucier and the team approach the hands-on aspect of the museum differently than other preservation specialists. Inside the Strong, they’ve replicated an arcade with a mixture of console and PC games available to play. 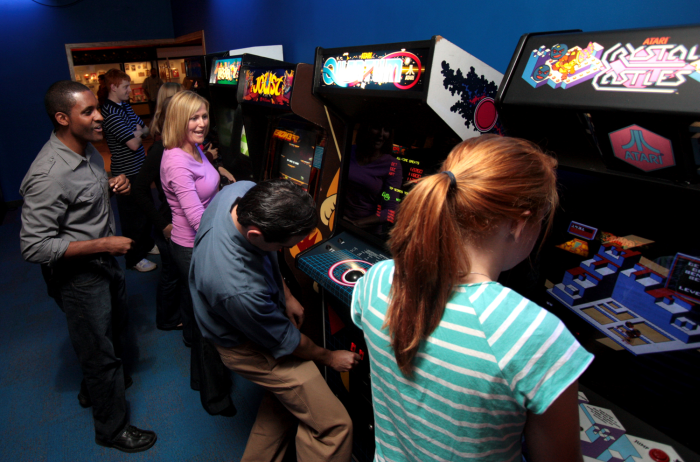 The games are swapped out regularly to keep a rotation and allow museum attendees easy access to experience different moments in gaming history. Adorably, the team has altered the moniker of artifacts to “useifacts,” a term used to describe the encouraged interactivity people can have with the collection housed in ICHEG. But why preserve things? Why go to all the effort to save the history of a hobby still regarded as a juvenile, immature hobby by so many in the broader population? For Saucier, it’s not about the current climate; it’s about the people to come. “As historians, we can only just try to anticipate what are the questions people will ask 50 to 100 years from now,” he says, adding his hope that people in the future would one day discuss video games in the same way as literature and other forms of entertainment media. Arcade "useifacts" on display at the ICHEG. Play is a highly individualized process. For some, it’s lacing up cleats and going to play soccer with friends. For others, it’s found in a more passive form such as reading or--yes--playing a video game. But preservation efforts on toys, games, and playthings can be difficult, especially when they’re regarded as throwaway items for children with no value to anyone above a certain age. Additionally, the sheer volume of digital entertainment makes it difficult for historians and curators to successfully collect everything for preservation. A reality, Saucier explains, is something he and others like him accept as part of their reality. “You have to accept that you can’t save everything,” he says, particularly noting the veritable deluge of games going live on the App Store every single day as merely one facet of a preservation challenge. 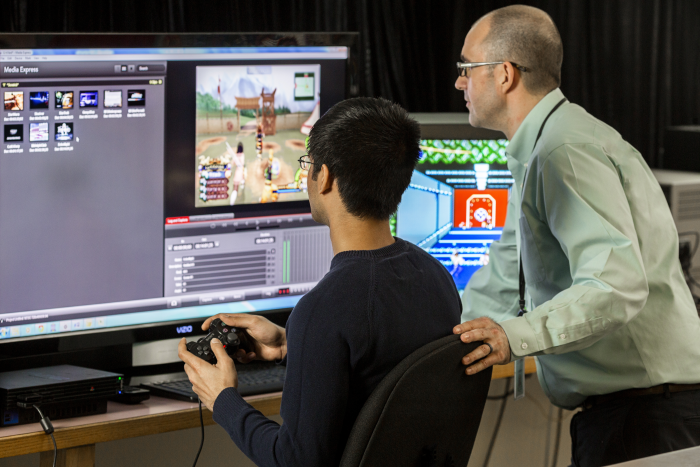 The efforts of the ICHEG team have resulted in a number of innovations, including a massive video capture project currently holding footage of more than 4,000 games and a data migration program enacted to preserve the original source code for several video games. It’s all a part of what he calls a “digital archive of gameplay” the team is hoping to have for future generations, long after cartridges have ceased to work. This sort of calculation is an underappreciated, yet crucial aspect of game preservation: along with tracking down and keeping these old items intact, they also have to anticipate the items necessary for preservation in the future. Future proofing preservation efforts are difficult, particularly because it’s hard to estimate the future trends and accommodate space for not-yet procured items. Still, Saucier notes it’s important to set aside one’s interests and biases to help make the process run more smoothly. Game preservation doesn’t have to be limited to large institutions like ICHEG and The MADE, however. The average consumer can do their part to help preservation efforts in a number of ways. The first of which is donation. Places like the MADE and ICHEG accept donations from the public, and will often be looking for specific items of which they might be in need. This ranges from disc-based games all the way to mint condition copies of early Nintendo Power. Anything is fair game, although it’s suggested to contact the institution ahead of time to make sure. Volunteering is also an option in many places, although the need for volunteers and the work different places need will vary significantly in both time commitments and responsibilities. Most importantly, Saucier adds, it has to enter into the attitude of the consumer. Once we realize how precious these things are and the roles we play in maintaining their history, we can start to work toward more solid long-term preservation options. “My room right now looks...I wanna say not fantastic. Better than it did,” says Jason Scott, one of the core team members at Archive.org. I’m speaking to him via Skype as he describes his workspace. Archive.org--better known as the Internet Archive--has one goal: preserve anything and everything they can in a digital format for future generations. 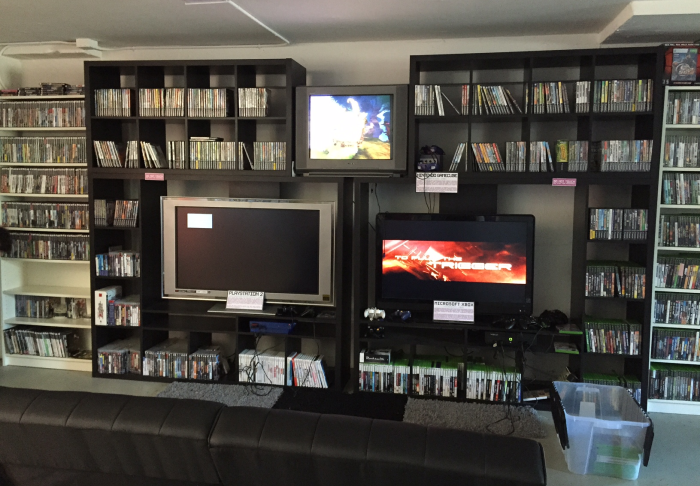 It runs the gamut from books and videos to music and video games, with all manner of items in between. Jason oversees much of the Archive’s software preservation and handles everything from Atari 2600 games to now-defunct internet browsers from the mid-’90s. It’s important to note the emphasis on everything. Jason’s approach to preservation is literally all-encompassing. He tells me of the stack of documents positioned next to him containing business reply envelopes for accounting companies and a four-page leaflet for a 1984 issue of Scientific American touting the importance of the personal computer. A collection of games on display at the ICHEG. He spends his days scanning, uploading, and filing, making sure everything is present and accounted for on the Archive’s servers. Why? Ultimately, he doesn’t know. He doesn’t know what worth a business reply envelope or a floppy disc containing test sprites for a long-dead game will be. And to him, that’s the beauty of preservation. He’s been with the Archive since 2011, when he was brought on to handle the software side of preservation. Before then, he was a known archivist with a penchant for holding on to old items and recognizing their inherent value. Particularly, software, which he notes is his proverbial bread and butter. Jason’s efforts with the software side of the Archive have resulted in a veritable treasure trove of old games that would otherwise be rendered completely extinct. And not only are they available, they’re playable in a browser. To Scott, it was a long but fulfilling road. To date, Scott estimates the Archive holds anywhere from 50,000 to 100,000 items on his end of the archive. These range from MS-DOS and cartridge games all the way down to old issues of Wired magazine. Why save everything? Scott’s answer is simple: because he can. I press him further, playing devil’s advocate and asking why he considers Barbie games and the Mavis Beacon typing series as important to preserve as higher-profile indie or triple-A games. The Pinball exhibit at the Strong Museum of Play. We have no idea what might be important to our successors, he says, recalling a moment when he looked at a gorgeous marble statue at the Metropolitan Museum of Art. Meanwhile, he says, there are pieces surrounding the statue whose creators and subjects may never be remembered outside of their immediate social circles. Which is cause for concern, because some of these fragments are literally all that is left for us to learn from. Jason’s work has been met with many of the same challenges as others who work to preserve the same materials. He’s encountered copyright claims from companies who don’t want their IPs readily available for anyone and everyone to access at will. He’s faced challenges with not being able to immediately identify the things he’s uploading to the Archive. And--perhaps most daunting of all--he knows the breadth of things that have yet to be discovered and sent to him for preservation. Jason Scott is planting trees in the Cloud. FANTASTIC article, Cassidee. As someone who makes a living writing about classic games, hardware, and trends, I appreciate the details you wrung out of each interview. Each of these efforts sounds thorough and worth supporting. I agree. This is a good article. As I get older I think I really need to move into library/archival studies because I was always kind of a historian anyway. Terrific stuff! Nice and in depth. Side fact, I had a friend named Alex Handy who was also into this sort of stuff, but this is not the same guy. It really hurt my brain reading this article and picturing him, because he was averse to deodorant and was really smelly, so all the pictures in the article were also smelly, even though it's not the same guy. 10/10! Would preserve video games again! Best article on Pokemonews this week! Very cool article Cassidee. As a fellow retro game collector I really dug this article, it was a great read. I will have to visit the Museum of Art and Digital Entertainment one day I am sure I would love it. Huh I never even knew about it till today, so thanks for that. Good article! It just kept going!